23424 Grove Street St. Clair Shores, MI. 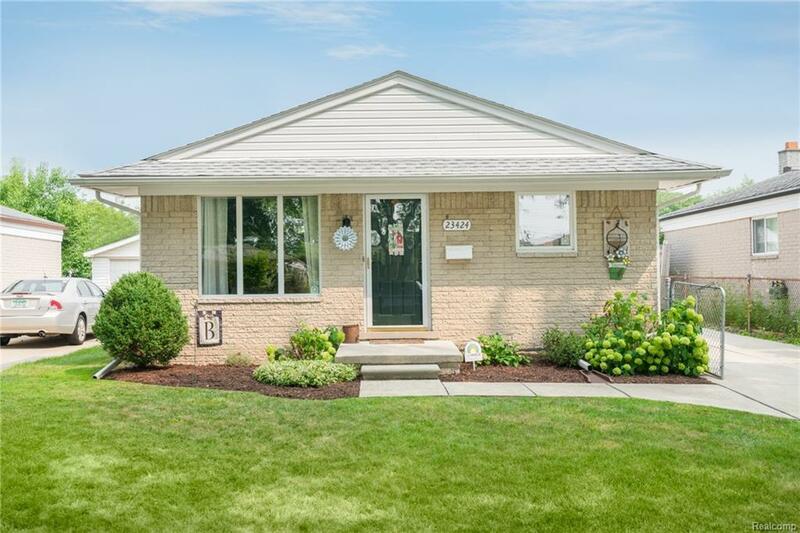 | MLS# 218086140 | The premier resource for all real estate information and services in Metro Detroit. Cute and clean! This nicely updated & well maintained home is ready for your enjoyment! Great location close to the Nautical Mile. This home features a newer kitchen, neutral paint, 6 panel doors, updated light fixtures, and faux wood blinds throughout. All appliances included. Newly finished basement great for entertaining, as a work out/exercise room, or play room with lavatory bathroom, glass block windows, crown molding, recessed lighting, and high end carpet. Vinyl Windows. Updated furnace and electrical panel. Newer dimensional roof. Newer concrete. Two car detached garage and fully fenced yard with rear privacy fence. Conveniently located just three houses down from Kaufman Park featuring a large playground and baseball diamond. This home has so much charm, you'll fall in LOVE! Come check it out!